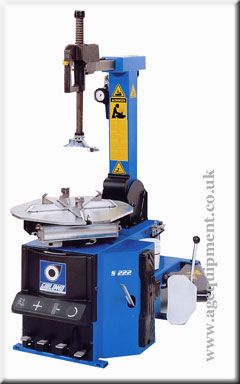 The S222 is Giuliano's entry level automatic tyre changer suitable for car and motorcycle wheels having rim size from 10" to 22" (max. diameter 1000mm/39", max width 330mm/13"). The S222 can be fitted with a range of accessories including the interchangeable mounting head system detailed below. We have recently supplied 3 modified Giuliano S222 tyre changers to Dunlop Motorsport for the British Superbike championship. to each machine. Modifications were then made to the electric's and air to enable the machine to fit into the Dunlop track system. 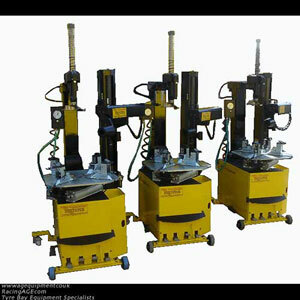 We have also supplied Mdoified S222 tyre changers to Yokohama ffor use in the WTCC. We would recommend the fitting of Giuliano's patented interchangeable head system, this system enables quick transition between a steel mounting head for steel or damaged alloy wheels, to a nylon head for alloy wheels. 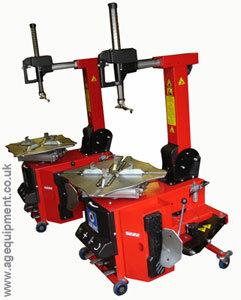 A nylon mounting head ensures the least amount of risk of damage to alloy wheels.